Too dull for single colour fabric? Want some changes of look and feel of non woven bags? We have designer non woven bags right here for your choice. 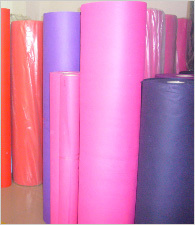 Please note your design is always welcome even if you can not find anything to satisfy you from our designer non woven fabric range.